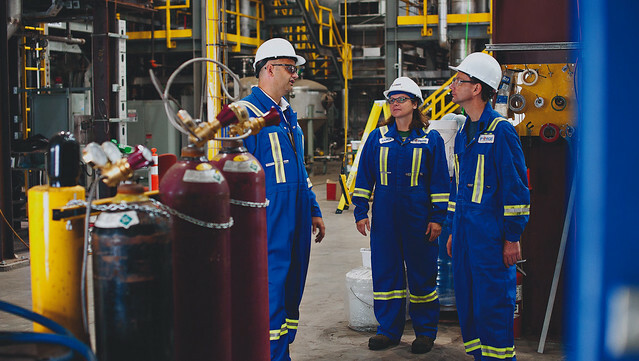 Industrial facilities will save energy and money by upgrading equipment and making energy improvements through a new Energy Efficiency Alberta program. The government is helping industry to be more energy efficient. The $88-million Custom Energy Solutions program is supported by funding from the Alberta government through Energy Efficiency Alberta, and the federal government through the Low Carbon Economy Leadership Fund, over three years. Industrial and commercial facilities in a broad range of sectors, including manufacturing, oil and natural gas, wholesale trades, warehousing and waste management, can apply to receive incentive funding for custom energy upgrades. Funding will be available on a wide variety of equipment and systems such as heat recovery, combined heat and power, steam, compressed air, refrigeration, and more. The Custom Energy Solutions program provides funding for industrial operators to assess their energy use and build a plan to present the most cost-effective energy upgrades. Facilities that move forward with custom projects will see up to 50 per cent of the capital cost of the upgrades and retrofits covered by the program, minus the cost of their initial assessment, which is fully covered. Single facilities are eligible for incentives of up to $1 million per year while parent companies making upgrades to multiple facilities can receive up to $2 million per year. Implementing a wide range of energy investments can reduce operating costs and improve the comfort and performance of facilities which delivers a return on investment over time. Operators defined as large final emitters or facilities that have opted into the Carbon Competitiveness Incentive Regulation are not eligible. For a complete list of eligible facilities and upgrades, and to learn about more opportunities to save money and energy through energy efficiency programs, visit www.efficiencyalberta.ca.